Last Friday, we reported that Target was canceling PlayStation 4 preorders that had been bundled with delayed games like Watch Dogs and Driveclub. It looks like the retailer is taking action to make good on the console part of those preorders, as well as giving $100 gift cards to make it up to those affected. The release date for the video games “Watch Dogs,” “Drive Club,” “The Order: 1886,” and “inFamous: Second Son” has been delayed. As a result, Target cancelled pre-orders for Sony Playstation 4 consoles that were going to be bundled with these titles. We sincerely apologize to guests who were inconvenienced and are working directly with them to ensure they receive the console they selected by their original order date. There was no impact to Sony Playstation 4 pre-orders that were sold independently or bundled with other game titles. Neither Infamous: Second Son or The Order: 1886 have been recently delayed; Infamous was initially thought to be a PS4 launch game before Sony confirmed they'd be releasing it in early 2014. The Order has never had a concrete release date, but is expected in 2014 at the earliest. Both games appear to have been offered by Target as bundled PS4 games at some point, so Target included them in their letter and cancelled preorders associated with the games. Infamous: Second Son is still set for a February 2014 release, and The Order: 1886's release date remains TBD. We apologize for your recent Target.com experience. We are working on a solution that will ensure you receive the video game console you pre-ordered. Unfortunately, we will not be able to fulfill the bundled video game portion of your order due to publishing delays. You will receive an email tomorrow with further directions on how to confirm your order. We are committed to shipping your game console by the date on your original order. 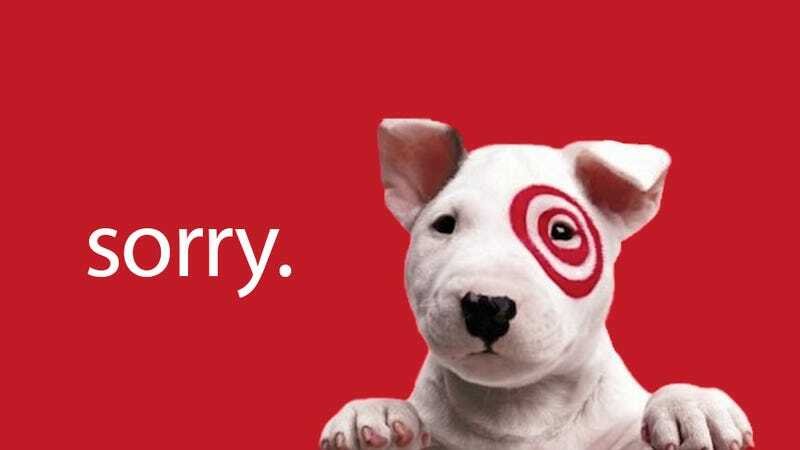 Additionally, we are emailing you a $100 Target eGiftCard for your inconvenience. Not bad! It looks like everyone will be happily playing their PS4s on launch day, and they'll even have some extra bucks to spend on a new launch game, if they want. Good on you, Target.